How Do You Red Bean, Paul Sanchez? If you were into the rock and roll scene of the 1990’s you have probably heard of the band, Cowboy Mouth. They had the catchy hit song, “Jenny Says” that played over and over on the radio all across the United States. Paul Sanchez was one of the founding members of the band in 1990 and played with them up until 2006. 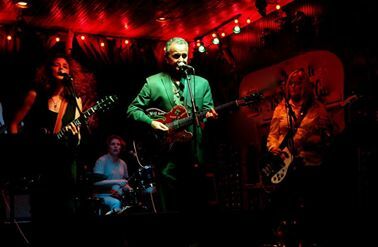 Since leaving the New Orleans based rock band, Paul has gone on to be a premiere singer, songwriter, producer, writer, musician and actor. 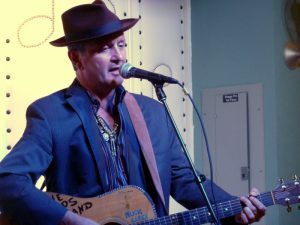 He played himself in the hit HBO show Treme and was the driving force in bringing the Dan Baum book Nine Lives to life with 39 original songs based on the book. 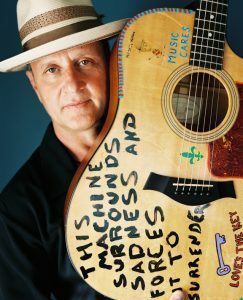 He has written songs for Darius Rucker of Hootie and the Blowfish, The Eli Young Band and even had a song covered by the Soul Queen of New Orleans, Irma Thomas! We (he and his wife Shelly) never go out for beans preferring to make our own. Truth be told, she prefers hers to mine but mine are awesome and she has completely “forgotten” that I taught her to make beans when we first got married. 2. If you make your own, what do you put in it, anything different or unique? Do you use dried beans or canned beans? We use Camellia Red Beans, soaked overnight. I would like to say that Shelly and I use the same recipe but like any good cook I am convinced she holds back a secret ingredient or two. Our recipe is the standard “holy trinity” of New Orleans cooking, bell pepper onions and celery. A chicken stock with some water for a base. I also like to add garlic, a lot of garlic. Like a lot of old-time New Orleanians I was raised to believe garlic is good for you and I just like the taste. Shelly has also gotten me used to adding jalapeño, sliced up. I didn’t use to do so but she grows them in the garden and loves spicy food so I got used to it, then I had to have it. She will also add a little basil with the bay leaf, also fresh from the garden. 3. 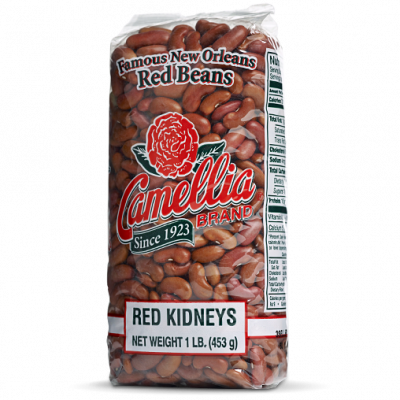 What do you eat with your red beans? Chicken, pork chops, turkey, salads, or do you put enough in it that you don’t need anything else? We put enough meat in the beans to not have more, once in a while we will have a piece of Tilapia on the side but usually just a salad. We both use pickle meat as well as sausage. What kind depends on who’s cooking but I like a pork or turkey sausage. We pan-fry the sausage after cutting it up, just enough to brown it. Shelly learned that one from me though after twenty years of marriage she takes full credit for it as well as most of this recipe. 4. Do you only eat red beans and rice on the traditional Monday or is any day of the week alright? My wife Shelly and I are big fans of beans on a Monday, both born and raised New Orleanians. She works on movies for a living and makes beans on a Sunday which often becomes dinner three out of five days that week. 5. What are you working on now? Do you have anything coming out soon? I took 19 months away from music in 2012 into 2013 and I have come back with a passion. Me. It is about my three loves, Shelly, New Orleans and music. It’s also about that 18 month period where I stopped playing and we dealt with Shelly having breast cancer. She shares her story of hope and survival in the film and she does so beautifully. WYES is airing the film again in July, on the 21st, I believe. 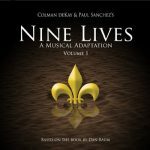 Also, Le Petite Theater in conjunction with Roxy Bergeron Music will be presenting a performance of Nine Lives on the 9th anniversary of Katrina, August 29th. In addition I am working on a new solo record which is being produced by Jay Weigel, former head of the Contemporary Art Center. Jay is scoring strings and will have the string section of the New Orleans Philharmonic in the studio to play the parts he has written. Originally, I was to play only acoustic guitar but it has evolved that there will be a band on four or five cuts so I will have my backing band on those, Sonia Tetlow and Mary Lasseigne who were both in Cowboy Mouth with me, as well as Linda Bolley on drums who is in the Atlanta-based band Roxie Watson with Sonia. I’ll also have my oldest musical friend, John Herbert on harmonica. He has played on almost every record I have made for 25 years. The record is called “Everything That Ends Begins Again” and will be out by the end of the year. For more information on Paul Sanchez, his music, books and where he’s playing, please visit his website www.PaulSanchez.com. If you’re in New Orleans, make sure you check his website for concert dates. He plays a show almost every week. Don’t miss out on one of New Orleans finest musicians!